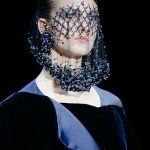 The lacquered gold, skeletal like mask that concluded Maison Margiela´s latest offering by John Galliano last season was assuredly one of the most Instagramed haute couture headpieces to date. 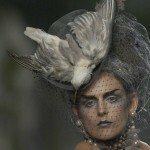 It may have been distinct in its formation, materials and aesthetic, but was not a first time this level of detail and imagination was used in the couture field, especially in millinery. 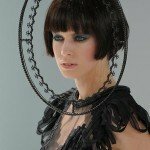 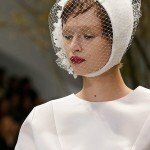 Some of the industries good and great milliners such as Philip Treacy and Stephen Jones have been creating pieces worthy of an alchemist for over a decade. 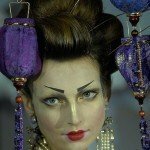 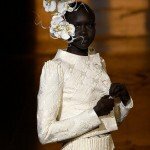 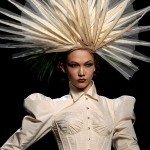 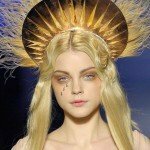 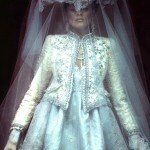 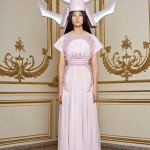 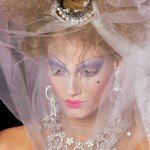 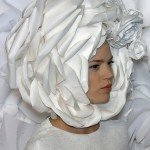 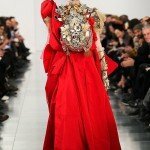 Once hailed by Grace Coddington as ´The Crown Princes of the Theatrical´, Galliano, Lacroix and Gaultier have allowed the extravagance of the ´chapeaux´ headwear to sometimes detract from the clothes themselves with their splurges of gold, lame and heavy encrustations of semi-precious jewels. 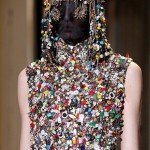 Last year, Raf Simons put his 21st century spin on these anachronistic accoutrements during his latest offerings in Paris. 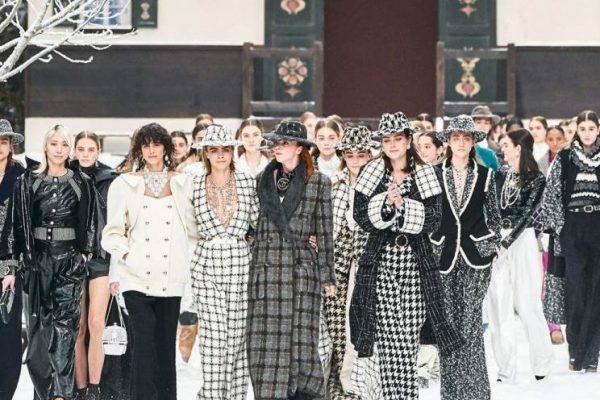 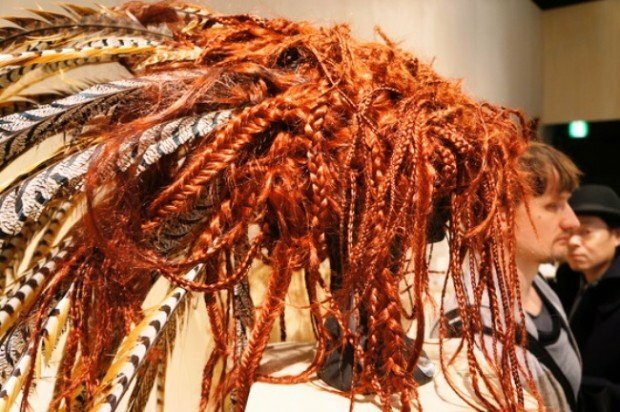 This not only paid homage to the craft but also presented a view that in this level of high fashion, dazzling moments of rare beauty and interest can come from any piece within their showcase collections. 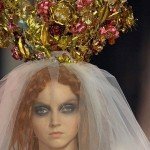 Whether you’re a traditionalist or more Avant Garde, here are some of the dazzling moments and rare beauty of the heady headwear in all their bold and beautiful forms.